Can Cowboys Owner Jerry Jones Bench a 'Disrespectful' Player? Dallas Cowboys owner Jerry Jones took the NFL's battle over the national anthem to a new level this week when he suggested that players who are "disrespectful" to the U.S. flag shouldn't be allowed to play. But can Jones bench a player for such a reason? The short answer, according to experts, is that Jones ─ arguably the most powerful owner in the world's richest sport ─ can do what he wants, at least in the short term. But he'd probably thrust himself into a high-profile legal fight that may ending up costing him, and the NFL. All of this speculation is based on Jones' comments Sunday night, after his team's closing-seconds loss to the Green Bay Packers. Earlier in the day, Vice President Mike Pence walked out of an Indianapolis Colts game after members of the visiting San Francisco 49ers kneeled during the anthem. And at the start of the Cowboys game, two of Jones' players raised their firsts following the anthem. Jones said Pence had a right to leave if he felt players were disrespecting the flag by not standing for the anthem. As for his own players' act of defiance, Jones said he wasn't aware of it. "But if there is anything that is disrespectful to the flag then we will not play," Jones said, according to The Dallas Morning News. "You understand? If we are disrespecting the flag then we will not play. Period." The Cowboys declined to elaborate on Jones' remarks, which forced the simmering feud back to the front of a national conversation. On Monday morning, DeMaurice Smith, the executive director of the NFL Players Association, pointed out that NFL owners and Commissioner Roger Goodell had promised in a meeting last week "that they would respect the constitutional rights of our members without retribution." Smith urged the owners to stand — so to speak — with their players, who he said have shown "bravery and courage." Later Monday, ESPN suspended analyst Jemele Hill after she suggested in a series of tweets that fans should boycott the Cowboys' advertisers as a way of showing displeasure with Jones' comments. The issue has divided football fans since last season, when the 49ers quarterback at the time, Colin Kaepernick, refused to stand for the anthem as a way of protesting what he saw as police brutality and the systematic oppression of black people in America in general. President Donald Trump reignited the debate last month, when he said the NFL should fire players who kneel during the anthem. Goodell criticized Trump's remarks as lacking respect for the league and its players. 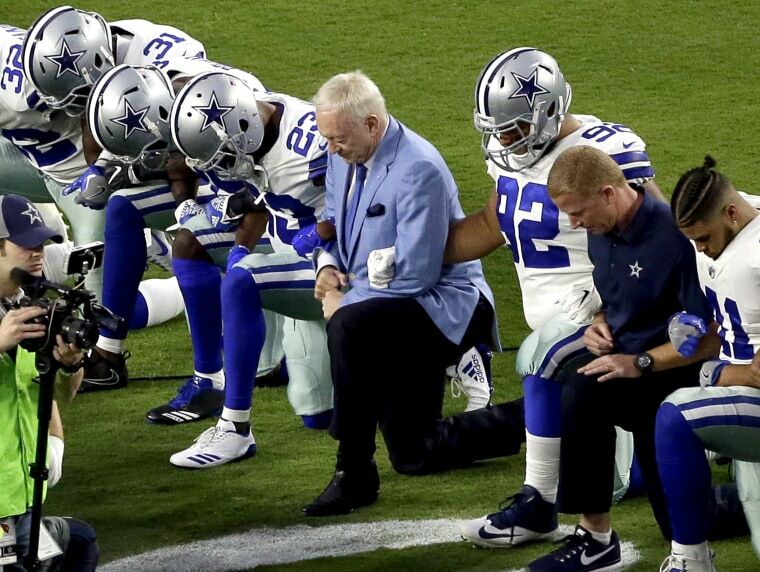 The protests instantly became a rallying point against Trump, as players, coaches and some owners ─ including Jones ─ dropped to their knees or linked arms before games. But on Sunday, Jones became the first owner to suggest disciplining players for kneeling during the anthem. While his team has knelt before the anthem, no member of the Cowboys has done so during it, according to The Morning News. "The league in my mind should absolutely take the rules we've got on the books and make sure that we do not give the perception that we're disrespecting the flag," Jones was quoted as saying. Those comments left a lot to interpretation: What behavior, exactly, did Jones think was worth a player's removal? And is he advocating benching players, suspending them, or firing them? Conduct during the national anthem is not specifically a part of the NFL rule book or players contracts. It only turns up in the league's operations manual, which says that all players must be on the sideline for the national anthem ─ and that they "should stand at attention, face the flag, hold helmets in their left hand and refrain from talking." Failure to be on the field by the start of the song "may result in discipline, such as fines, suspensions and/or the forfeiture of draft choice(s)," the manual says. The league appears not to be taking this rule too strictly, as it hasn't punished anyone for it recently. But Jones could pursue other paths. 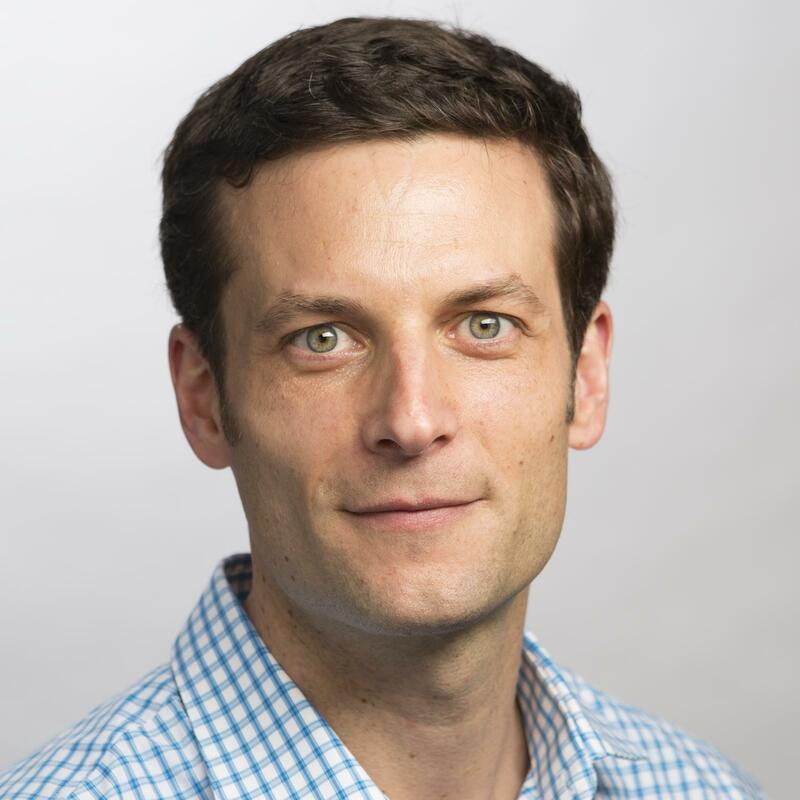 Matthew Mitten, executive director at the National Sports Law Institute at Marquette University, said it was hard to tell precisely what action Jones was suggesting, but any move would have to adhere to the NFL's collective bargaining agreement. Jones may be able to find a provision in the agreement to use as grounds for punishing a player. But that would also allow the player to file a grievance, which could go before a neutral arbitrator. That alone could be costly, as the owner risks a public relations backlash or an unfavorable ruling. "Could he really bench a player for protesting? There's no doubt in my mind that he could do it," said Kenneth Shropshire, a professor of global sport at Arizona State University. "But would it appear in violation of the rules among the parties? That's the question." A fired player could also go to court for a restraining order that would allow him to keep getting paid. Another path, Shropshire said, would be to have team coaches simply keep the offending player from taking the field, even if the reason is not fully explained. Jones could also risk criticism for holding players to different standards based on their alleged infractions. Jones has a history of holding on to players who have gotten into trouble off the field ─ for violating drug tests, or for allegations of violence. Two current players were arrested this year, one for assault and one for DUI. Jamie Dukes, a former NFL lineman and NFL network analyst, said he would be surprised if Jones did anything that wasn't in lockstep with the league and other owners, who rarely move without slow consideration of the impact on the sport's standing in America. "It’s the machine," Dukes said. "The move he’d make would not be outside the rules every other team would adhere to." Longtime sports agent Jack Mills said the NFL has placed itself in a difficult spot: choosing not to interfere with the protests, and opposing the president. “But this could change at either the NFL level or the local level at any time,” Mills wrote in an email.